Cryptocurrencies and blockchain technology have been expanding all over the world. There are many different uses that people, enterprises, and governments can give to these new technologies. Governments are trying to adapt their legal frameworks into the new reality that they are living. And that’s what Arizona did. The US state signed a bill that legitimizes blockchain technology in the North American country and the world. 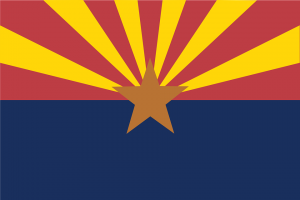 According to some reports, Arizona’s governor Doug Ducey decided to sing a bill that legitimizes blockchain technology. The bill was introduced by Rep. Jeff Weninger during February in order to support the growing technology in the state. This is not the first time that Weninger is related to cryptocurrencies and blockchain technologies. In the past, he said that cryptocurrencies and blockchain technology should spread in the country. And this is what they are trying to do with the legislations, creating a legal framework that will be able to allow crypto-related enterprises to settle their operations there. The new law allows corporations to hold and share data on a blockchain. In this way, the government recognizes this data as valid, eliminating the need to print papers or rent buildings to store documents. There are different companies and enterprises that are trying to search for blockchain and crypto-friendly places to start operating. In this way, investors and companies are protected against problems that could develop in some cases. One year ago, the Arizona House Bill 2417, was approved in order to legalize Blockchain signatures. Moreover, it recognizes the enforceability of smart contracts. In general, Arizona is one of the friendliest places on earth for bitcoin and blockchain related businesses. The state is trying to embrace the new growing technologies in order to impulse local economic growth, improve the wealth of the people living in the state, and promote the technology in other places.